I just did a sports nutrition talk at a local cycling shop, and the question about inflammation came up. What is inflammation? How do we athletes or non athletes know we are inflammed? Are there other symptoms we can look for? I know from my own experience with hip replacement surgery, pain is a huge sign. But you can lessen inflammation by changing the foods you eat. You can eliminate it with the right food combinations. 1. a localized physical condition in which part of the body becomes reddened, swollen, hot, and often painful, esp. as a reaction to injury or infection. 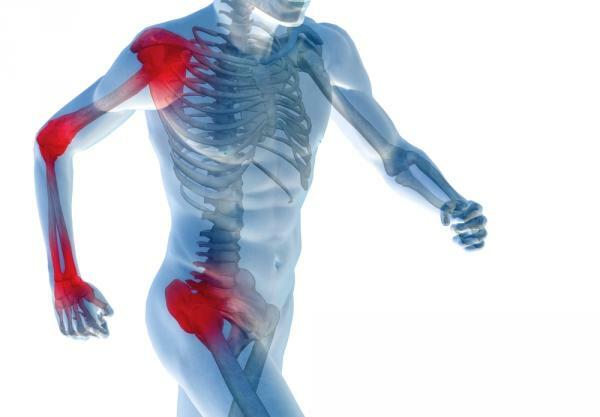 As an athlete, or non-athlete, inflammation is really the cause of most our pain and ailments in health. Inflammation is what causes heart disease, arthritis pain, eczema, and a host of other issues. I truly believe that if everyone adopted an anti-inflammatory diet, they would no longer need health care as we know it. Athletes would recover faster from training and from injuries. People with pain, would soon be pain free and off their medications that also cause liver toxicity. Some people have inflammation in the GI tract, some it appears as blotchy red skin or bumps on the skin. If you cut your finger, typically it will swell and become red and hurt- that is our most common sign of inflammation. It just hurts. If you have IBS, or have to run to the bathroom soon after eating certain foods, your GI may be inflammed. When you have sinus infection, the sinuses are inflammed and they hurt. Easy way to identify. Are athletes inflammed? We probably all are to some extent. How do we ‘fix’ this? you may ask. Start eating an Anti-Inflammatory diet! This plan is not just about eliminating hard to digest pro-inflammatory foods, it is about alkalizing the body and adding anti-inflammatory foods more often then pro-inflammatory foods. For some it means complete avoidance of certain inflammatory foods. Foods that most commonly cause inflammation are sugar, wheat, dairy, soy, corn and any GMO food. This list also includes hydrogenated fats, processed foods, artificial sweeteners, colors and preservatives. If you just stop consuming white processed table sugar, this would be a huge leap in lessening your inflammation. Next try avoiding dairy. Then wheat. After those, you can keep going and try to eliminate others. There really is not a specific order, but you do want to try doing it one food group at a time. I found that Nutrition Response Testing was my biggest help in identifying some of my inflammatory foods. Any time I ate them, I had crazy hip pain and couldn’t sleep well. Now after surgery, I don’t have the pain, but if I do eat these, I sleep longer, I have stiffness when I wake up and sometimes just feel off. If it were inflammatory before the surgery, it is obviously still inflammatory after it. I just don’t get the ache or the human barometer effect with changes in weather. Yes, that went away once I really did this anti-inflammatory plan in earnest. Part way was not enough. I had to do it whole heatedly and then some. Get rid of all the pain, and then introduce small amounts to see how I would react. Yes, there is a happy medium to be found. But you need to be vigilant at 110% until the pain subsides. Now we get to ADD anti-inflammatory foods vs just eliminating common problem foods. We add cruciferous vegetables (kale, broccoli, cabbage, cauliflower, brussel sprouts and bok choy), ginger, parsley, alkalizing vegetables, alkalizing grains like wild rice, quinoa or buckwheat. We also look to rot vegetables as a source of carbohydrates instead of grains. We also add healthy fats including the cold water fish (sardines, mackerel, salmon, herring, etc), flax seeds, avocado and coconut oil. The Detox Plan is a great way to start an anti-inflammatory diet. Then to make it more anti-inflammtory, we add more ginger, parsley, turmeric root (preferably fresh vs spice), pineapple (bromelain) and cold water fish. When I work with clients, I not only help them with a road map of how to start the Anti-Inflammatory plan, but i am always offering new replacement foods and expanding your food options. Most clients never heard of half the foods I suggest, but once they start making them, they find it so much easier than having to guess on their own. Wheat free does not have to cost a fortune – there are tons of alternatives beyond rice based pasta and bread. Switching from roasted nuts to raw helps, too as well as adding other healthy fats including flax seed and oil, avocado, virgin coconut oil and grass fed ghee. I offer and Anti-Inflammatory Nutrition package that will customize the process for you. I also offer Nutrition Response Testing to help the body heal faster and identify where inflammatory items might be ingested or being exposed to. I found that I needed a combination of all of those to really make it work. It being the AI diet. If you are ready to feel better, be less tired, have no aches or pains, please explore the Anti-Inflammatory Diet. It will change your life! And what do you have to lose but the pain, health issues or years off your appearance! I read a great article the other day by David Katz. “What if we were to treat health like we treat wealth”. Fantastic article. If we would all pursue and invest in our future health the way we pursue and invest in future wealth, we would all look at nutriiton differently. If you want in invest in better health, you need to seriously consider how much inflammation you are fighting in your body. Be sure to visit Joanna’s Nutrition in Motion website. I agree, most don’t make the connection about nutrition playing key role in health. As we get older, it becomes a bigger key! the blog is on wordpress.com. hope that helps. my main website is on godaddy.com. link on http://www.n-im.net for discount to get started with godaddy. Feel free to use the information on my blog! And if you need additional help to customize a nutrition plan for you, you can reach me at http://www.nutrition-in-motion.net.